Hero HF Deluxe has been updated with IBS (Integrated Braking System). IBS is now available both in standard and i3S variant. The feature helps in braking by partially applying the front brake while the rear brake pedal is pressed. The mechanicals are unchanged apart from the inclusion of IBS. It is also Hero’s first motorcycle to get this feature. The Hero HF Deluxe IBS is priced at Rs 39,400, while the i3S variant is priced at Rs 48,942 (both prices are ex-showroom, Delhi). Hero HF Deluxe prices start at Rs. 38,900 (Ex-Showroom) and the top end variant Hero HF Deluxe iBS i3S is priced at Rs. 49,375 (Ex-Showroom). Hero HF Deluxe is available in 7 variants and 11 colours. Share your experiences with HF Deluxe? The claimed ARAI mileage for the Hero HF Deluxe petrol is 82 kmpl. A legacy of almost three decades, the CD-series from Hero MotoCorp is the final word for many when it comes to owning a 100cc entry-level motorcycle. Q. Which one is better between hf delux and splendor plus? Q. Which bike is better Splendor, Platina, Passion or HF Delux? Q. Which is having better brake control ,HF Deluxe, Splendor Plus or Passion? Q. Is the engine of HF Deluxe same to that of Splendor Plus? Q. Which one is best between HF Deluxe i3s and Splendor Plus i3s? Q. Which is best between Bajaj Platina, TVS Radeon and Hero HF Deluxe in terms of price and comfort? 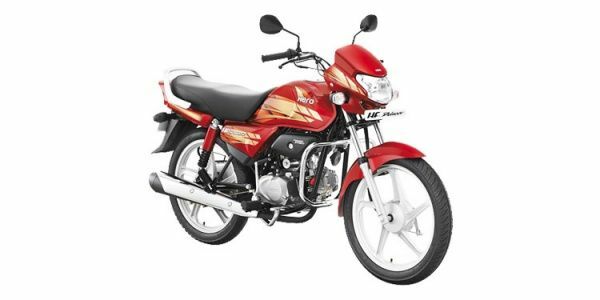 The extremely bare-basic 100cc commuter that has been serving the country for almost three decades, Hero MotoCorp's CD-series has been the choice of the masses for its economic sense and practicality along with trademark Honda reliability. While the HF Deluxe offers basic design lines, they are pretty much at par with commuter bike standards. To up the style quotient, the company has offered a trapezoidal headlamp set within a bikini fairing and side panels with embossed HF Deluxe graphics. The compact rear side panels houses a halogen-lit tail lamp and alloy grab rails for the pillion. The two-pod instrument panel gets an analog speedo and odometer on the left and a large fuel gauge with tell-tale lights. Available with an optional electric starter, the Hero HF Deluxe is powered by a 97.2cc, air-cooled, single-cylinder engine which makes 8.36PS of peak power at 8,000rpm and 8.05Nm of peak torque at 5,000rpm. The engine feels refined and performance is best at mid-range, which helps commute in a stress free manner. Add to that the ARAI claimed mileage of 83kmpl with a 9.5-litre fuel tank. The HF Deluxe runs on five-spoke alloy wheels with telescopic forks up front and hydraulic dual shock absorbers at the rear. Electric start is available as an option on a higher variant. Braking is managed by 130mm drum brakes at the front and 110mm drum brakes at the rear. Kerb weight of the kick-start variant is 107kg while the electric starter variant is 3kg heavier. Bajaj CT100: It is the most affordable of the lot, and comes in three variants – CT100B, CT100 KS Alloy and CT100 ES. The CT100 gets a bigger 102cc engine that produces 7.7PS of power on the CT100 ES, while the other two variants generate 8.2PS. Torque on the ES is higher at 8.24Nm, while the CT100B and the CT 100 KS Alloy produce 8.05Nm of torque. The three variants also get small but noticeable changes in terms of styling. It gets a slightly bigger, 10.5-litre, fuel tank and weighs between 109 and 110kg. TVS Sport: It is not only the most stylish of the three mentioned here, but at 95kmpl, it also returns the highest fuel efficiency as per ARAI. With pricing at par with the Hero HF Deluxe, it should appeal to college goers who are on a budget, but are looking for something handsome to stand out from the crowd. The 10-litre fuel tank will also make for a great run on a single tank up. One word - "nice"Mileage is above 65 on highway, looking is also good. Confused about Hero Moto Corp HF Deluxe?